Salsa: You’re doing it wrong! “If you don’t have African or at least Latino roots you will NEVER dance Salsa well”. Or did you know that “Studio Salsa (whatever that is) is watered-down Salsa that has lost its sabor”? Or that “Puerto Rican street Salsa is the only real Salsa there is”? Were you aware that “for Salsa to be good it has to have a multitude of turn patterns, acrobatics and footwork”? No? Well, neither did I… but according to some of the angry comments that I received on last weeks hugely popular article, this is what some “Salseros” actually think (and very adamantly at that). All those ridiculous statements you’ve just read above were the opinions of people who wrote some rather unpleasant comments on my blog or Facebook page last week. They were either deleted or never allowed past moderation (my house, my rules 😛 ). Last week’s article did exactly what I had hoped, just on a MUCH larger scale. It went viral and created one of the biggest international dialogues in Salsa that I’ve ever seen (although, in fairness, my Salsa history is pretty short). People from the entire Salsa sphere gave their two cents; social dancers (like myself), performers, instructors, promoters, club owners… the whole shebang! It was like an international Salsa focus group 😀 . A massive array of opinions and ideas were shared and I couldn’t care less if people agreed with the article’s content or not. The simple fact was: It got people talking and that kind of dialogue is great for the salsa community and I really am proud that this blog was part of it. Unfortunately, there were some particularly vocal individuals (and I call them individuals because I’m certain they don’t represent the views of the groups they claim to speak for) who made me aware of the unfortunate way some people think of Salsa. The people who seem to be fighting to keep Salsa segregated. Some people got REALLY upset at the article. After reading their comments I realized that the vast majority of them completely misunderstood what I was getting at. The title was intentionally misleading, most people got that, but some people decided to carry their anger from reading the title with them through the rest of the article (assuming they actually read it ) and then took the wrong meaning from virtually everything I said. Also a lot of people completely misunderstood what I meant by a Bah! dancer (someone who, after years, doesn’t even manage the basics well but has no desire to even get their rhythm in order… it’s all about a Bah! attitude i.e. they don’t care about salsa!). People seemed to think I was demanding everyone train to be a performance level, fancy footworked, acrobatic Salsa wonderkid! Nothing could be further from the truth.Some people made some seriously inaccurate ASSUMPTIONS and that unfortunately led to the misunderstanding. Anyway, anger at the article turned into anger at me and that’s when I realized how segregated our Salsa community is. Some nasty comments directed at me opened my eyes wide open. There were even some people who were supporting my views but who had some completely ridiculous (elitist) ideas too which I would never be in favor of. Basically, the gist of everyone’s blame throwing was this: Everyone considered their particular faction to be the best! I had people telling me that the only way to dance Salsa is studio style (?) with as many crazy combos as possible. Nope, can’t agree with that! Some said too many Latinos in clubs were the cause of Salsa’s decline. Really? The people who brought us Salsa? I didn’t know where to begin with that one! Others said that people who “learned” Salsa in a classes couldn’t hold a candle to those on the street. A universal untruth in my experience. Some told me that Cuban Salsa was the only authentic way to dance with sabor. Funny that I’ve seen people dancing every other style of Salsa with sabor too. Some people told me that white people like me (I really am as white as you can get ) would never be able to dance well. I know a lot of dancing albinos like myself who’d take offense to that lie. Some commentors even suggested I should start refusing people dances based on their style or level. Can you believe that? I, for better or worse, just don’t say “No” to a dance. It’s one of my most important rules of Salsa etiquette. Some people misinterpreted my comment about Cali (which I’ll gladly admit wasn’t worded well enough). Just to be clear, Salsa in cali is “Rica” but if you don’t know what that means look it up because, according to one angry commentor, if you don’t speak Spanish and understand Latin culture you will never dance with real sabor (I know, seriously, so many salseros are doomed). Apparently we’ve all been completely mistaken about Salsa! And there I was worried about peoples skill level when there’s a whole heap of people spreading hate like that in the community! I’ll continue trying to learn and improve whenever I can because I’m still convinced I’ll be able to shake this bright white booty with as much sabor as anyone with adequate melanin levels). And you know what? I think I’ll continue encouraging people to do the same. You know, people will always prefer and dance different styles of Salsa and that’s beautiful. It means we’ll always have the beauty of variety in the Salsa community. It’s just not cool when people start promoting the idea that one style is better than the others and then ridiculing those who dance those different styles. That is most definitely NOT what I wrote about in my last article. To those of you who wrote ridiculously angry comments to make your point, I’m sorry you’re so angry, the internet seems to bring that out in people. At least you provided the inspiration for everything I’ve written here. And to those of you who gave well rounded, mature comments with genuinely insightful suggestions I want to say thank you for contributing to our Salsa community… And it most certainly is “our” community (see my article on why), no matter what the angry comments say, no matter if your style is Cuban or Puerto Rican, NY, LA or Colombian… no matter if you’re African, Latino, European or Asian… or if you dance street or studio, technical or simple… We are all part of one big Salsa community. I’ll see you all on the dance floor. I Like your Blog! I Like your work. keep up the good work. we feel happy to see someone trying to do good things to Salsa! Que viva la Salsa!!! independent of styles or background. Salsa is for all. Salsa is universal, like the culture. We should learn with each other. Learning different styles allow us to grow as dancers and understand more about us and others. “some dancers says: “i hate x Style or y style, just because they are not ready yet to do it, to learn it or to feel it” But please, No limitation… “Salsa is expression of the Soul”… Let’s Enjoy it! You really nailed it when you said “Learning different styles allow us to grow as dancers”. That is something I firmly believe myself. Caramba, no sé ni por dónde empezar. Honestly I was in shocked after I read your other article about the bah dancers. Maybe because the word itself seems to me to contain a pejorative sense in its chords. And certainly when you said people misunderstood you, well, I understood what you said they misunderstood but doesn’t mean I misunderstood you. That process depends on the quality of the source and the quality of the, in this case, reader. How interesting your passion for salsa, you know. It is easy to see from each word and sentence how much this rhythm has gotten into your cells. Congratulations. That is so beautiful and so enlightening. In general, I disagree about your conclusions but not about your premises. What I wonder about the path of your arguments around salsa dancing by no salsa fanatics is the improvement part. Which makes me wonder whether it is necessary or expected to have an intentional attitude for improvement in all aspects of everybody’s life. I mean, there should be this intentional, consciously, explicit attitude of improvement in ALL aspects? Again: in all aspects? Is that technically possible? Because, of course, if I am a scientist, as I am, I want to improve my skills in science, I also happen to like dancing to the level of pushing myself to different rhythms constantly, so I try to improve my dancing, same with my English proficiency which is not my native language. You can tell. But I don’t seek to improve in all aspects. I simply can’t. Like in sports. I am so average, I am a bah athlete, if you will, but since sports are not something I really care, sports not even dislike me, why to focus on improving that set of skills? So, in that sense, doesn’t that apply to dancing and in general to bah people in whatever the topic? We are, I am, you are, mediocre in almost all things in life. In some we are good but just in very few we can be excellent. There is not enough life expectancy in our certain uncertainty to be excellent or at least good at every human activity. So, at the end, one must choose. All the best! I am glad you enjoyed your time in Cali, I am from very close, from Popayán, but love Cali as well and in general the feeling of my country. Not a new insight from another human being, naturally. I looooooove Popayán 😀 I’ve visited it so many times for the nice climate and to relax from the madness of Cali. There’s a really cool salsa club there called La Iguana, maybe you know it? You’re right about salsa getting into my cells. I think once you get it, it’s like retro-virus that eventually becomes part of your own DNA. You made an interesting point when you said we’re mediocre at most of the things we do in life and I’ll also admit that I do expect a lot of myself so I shouldn’t expect the same of others. Thanks for the comment Felipe. I know La Iguana! It is really a great place to enjoy salsa. I live in Bogota but travel very often to my city. One month ago I was dancing Cali Panchanguero right over there. All the best! ¡Un abrazo! Great to have the support lad, thanks! I wish most promoters , teachers and social dancers think like you and Salsa community would be much happier place to be around!! I think those teachers and dancers that are one dimensional thinking are responsible for killing and stopping further growth of Salsa in more mainstream environment!!! Music dose not know age, colour, or style music just place for everyone so that everyone expresses themself as to what they feel!! More you let your self go and get lost with the music more you express the music and more dynamic and individual you are!! I hope those that dance mambo or Cuban change there way of thinking and just respect the person s choices of what count or style of music the wish to dance!! After 14 years in the salsa community in Oslo, I totally agree with you on this one. It’s a sad fact that many individuals are full of anger and hatred in their comments. And on something as wonderful as Dance and Music! dance and music, activities that should be a pure source of beauty and joy. 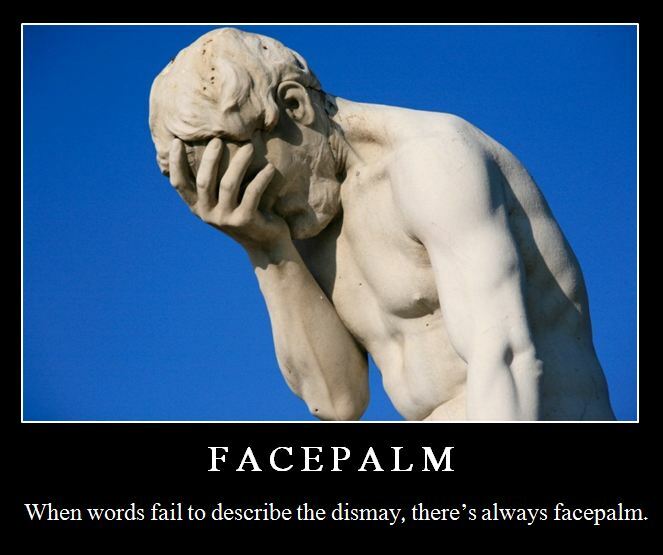 I applaud your initiative to the debate on the former article, however I must come with a suggestion: I thought the article was too long, and too complicated, and that may be a reason why so many people misunderstood your Points. And you can of course criticise people for not being thorugh when they read stuff, but in my experience, never underestimate peoples lazyness and unwillingess to follow an argument throughout. I had to read Your article again to get what you really meant with Bah dancers. Sometimes is also important to review Your own Words, and maybe realize that Your communication may not have been accurate enough. Otherwise, keep up the good work! I totally agree with you. In retrospect, the article was too long and convoluted. My particular (amateur) approach to writing has a lot to blame for that. I’ll have to work on this in the future. I really do appreciate you reading it again to fully understand it. It says a lot about you as a person. Thanks for the comment and keep dancing. The Dancing Irish man is at it again…. he has written a follow up to his last post on what has virally now become known as the ‘BAH dancer’. 1. Humans love controversy. 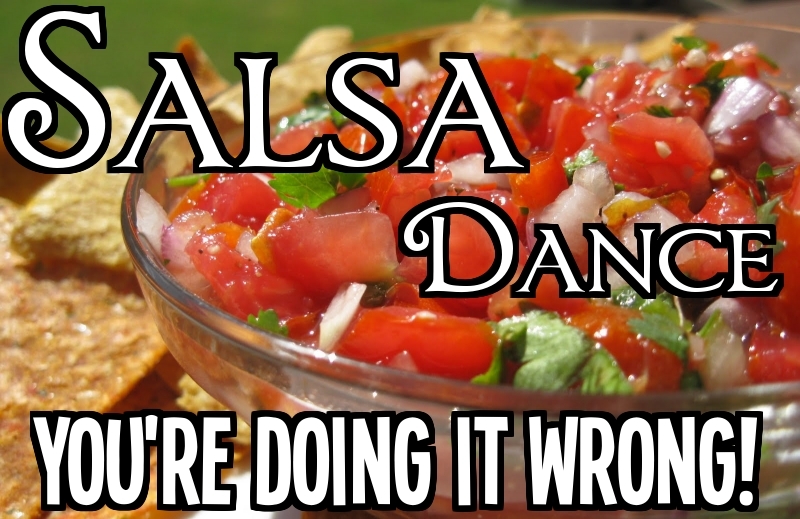 The Dancing Irish man has written so many positive and helpful posts about Salsa, but the firat one to go viral and be shared this many times is the no holds barred oppinionated one. 2. Reading a lot of the comments (I will admit, I lost steam at some point), it just reminded me and clarified for me that people do Salsa for lots of different reasons, and you know what – its OK! 1. Everyone has their own opinion and is entitled to it. Basic human rights people. 2. Its ok to agree to disagree. You dont always have to see the other persons point of view, you dont always have to agree with it, but you should respect their right to have their own point of view even when its different to yours. 3. Dont take everything too seriously. There are kids starving all over the World, there are real problems in this world and hobbies are not one of them. So relax, take a chill pill and read what my friend the dancing Irish man has to say… chew on it, think about it, disagree with it, but dont loose sleep over it and definitely dont stop dancing because of it. I’m glad you like the blog and this article in particular. Keep dancing and keep loving salsa. Good article mate :). With the so many different styles of Salsa and Dance combined with other people’s unique interpretation of them. How could anyone claim that one style is better than the other…. There’s just too many styles :). Thanks Egon, my thoughts exactly! That’s the attitude I love to hear Catherine. Some people can be real @$$holes about who can and can’t dance, the best way to deal with them is ignore them and prove them wrong just like you’ve done. Dude, by all means keep dancing, though once you’re addicted you aren’t about to stop. I am Puerto Rican, born and raised in the Bronx. I grew up in the 1970s watching people dance salsa all the time. My folks were religious, which is cool, but it killed (unnecessarily, I think) any chances of me learning to dance salsa at the optimal time. Anyway, I’ve been looking to learn it now and nothing I see is like anything I remember. It’s all been standardized and become about technique, not music. It’s very sad. Dance is a natural, expressive thing, it doesn’t need to be standardized. The spinning is particularly troubling. Its all too fast, no lingering with the music, no sensuality. The spinning is the main problem. I don’t know what all was in your posts, but that is what traditional dancers feel. I don’t think there should be any segregation, but dancers need to be assimilated. Going to a dance school won’t necessarily do it. Yeah, you’ll dance like everyone else, but if you really want to dance you need the freedom to groove to the music–otherwise you are doing someone else’s moves. Just my two cents. Hey Israel, I absolutely agree, salsa needs to be more accepting of everyone who dances regardless of style. The problem with education (and I mean this both in a standard snense and referring to salsa) is that to make it consistent, standardization is the most useful approach. Does that make it the best approach? Not necessarily. Yes, more people dance these days and the technical level has skyrocketed. BUT yes, a lot of the connection with the music, which isn’t easily “taught” is lost. How to find that goddamn "1" beat in salsa. 21 Things I F##KING HATE about Colombia! The Secret Step Between Dance Class and the Dance Floor! Why Salsa Dancing is the Greatest Fat-Burning Exercise EVER!!! You NEED to be OK with Dancing like an Idiot! A personal blog aimed at contributing, and paying homage, to the most sensual, beautiful dance of Brazil. The most fun, personalized & professional SURF LESSONS and SURFING EXPERIENCE in the Siargao Island, Philippines!